All donations for this activity are welcome and will be transferred to RAST Treasurer! 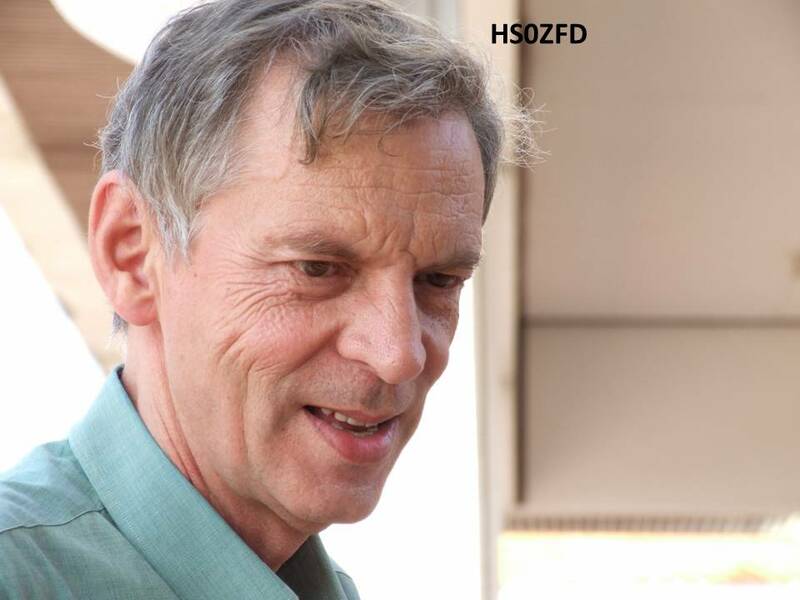 The E2E EME DX-pedition is history! The received QSL cards were handed over to the President of the Royal Amateur Society of Thailand, RAST, Mr. Pornchai Semjang (Joe), HS2JFW, in the presence of the President of the German Amateur Radio Club, Mr. Steffen Schöppe, DL7ATE, during a small celebration at the Thai Booth during the HAM Radio Fair 2013 in Friedrichshafen. An article from the famous and independent German HAM-Radio Magazine FUNKAMATEUR will follow soon! Update 14.09.2013 All QSL`s for received Cards are out!!! 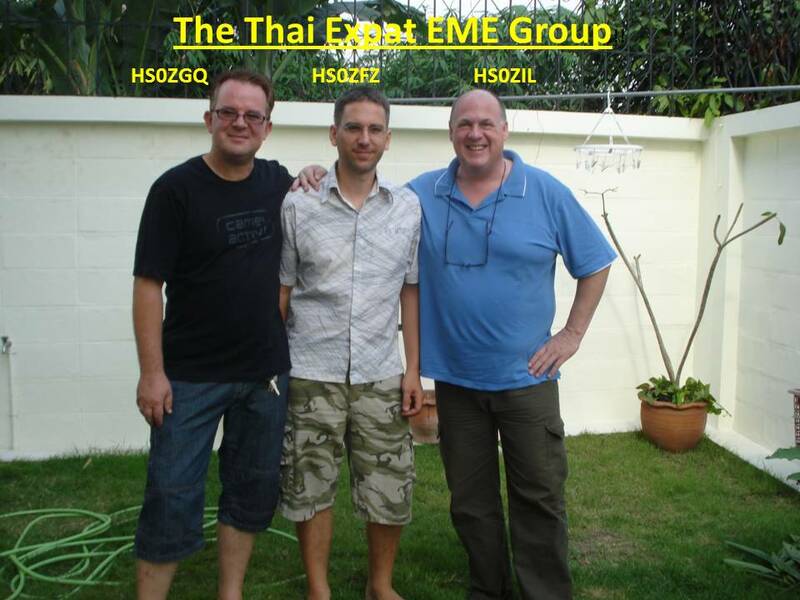 After 138 QSO`s via the moon the E2E-EME-activity ended on 25th april at 11:03UTC. 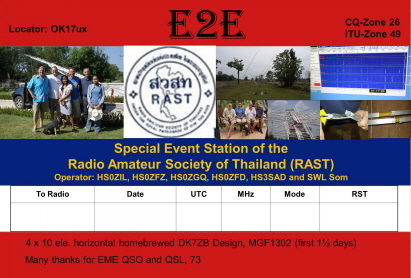 The last QSO was done with HA0MK!! 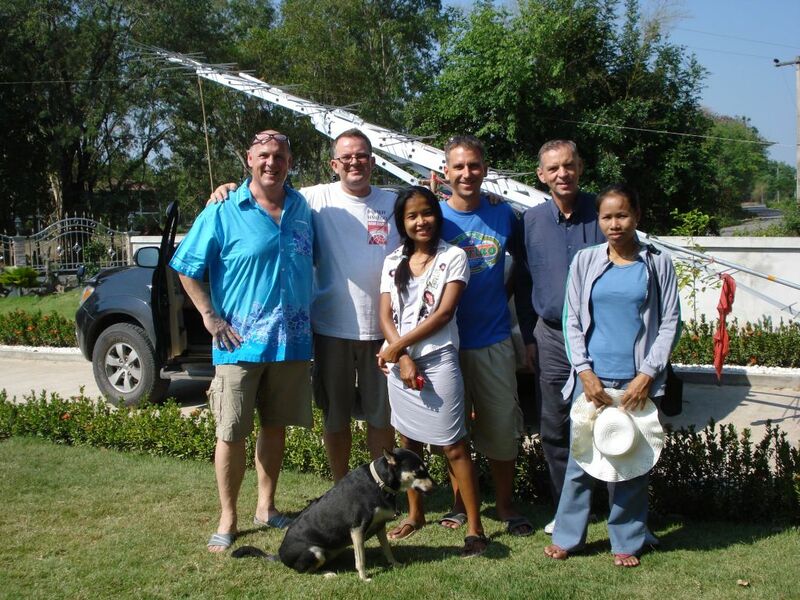 After 5 days activity in the northeastern djungle of Thailand, OK17ux, we were proud about the result after the serious problems we had with our antennas and Preamps!! Thanks again to all stations to your patience and fairness!! 73 de E2E!!!! Just came back home and slept 2 days long, HI!!! Already received some direct QSL cards. Some with donations inside! Thank you very much! The QSL Card will be made fast and be shipped direct to all who gave donations or an IRC. All other cards will be sent via the German QSL Bureau!! Still missing some QSL`s for our expedition!!!! You are interesting in receiving one???? ?